I've got a stack of my Christmas cards written and I'll be mailing them out on December 1, when I announce the winner in my snowflake giveaway. Would you like to win some paper snowflakes handmade by me? If so, leave a comment on the giveaway post before midnight tomorrow! I'll be picking a winner on Wednesday morning before I head to the postbox. Make sure I have some way to contact you for your address! I've noticed that some RSS readers (notably Google Reader) seem to be having trouble fetching my blog -- probably since I switched the official location to http://allison.gryski.com a few months ago. So if you subscribed back when I was at the blogspot address (before July 15), please switch to following http://feeds.feedburner.com/AllisonGryski instead. You can also do this by visiting my blog and re-subscribing in your preferred manner. 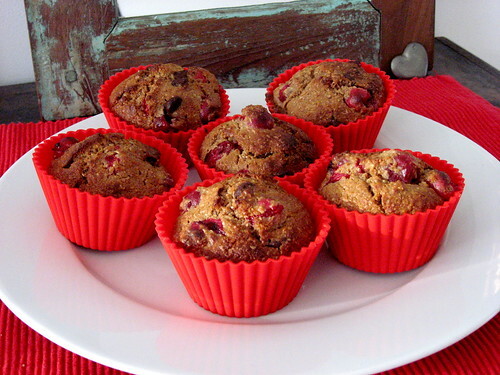 These are the bran muffins of my youth with a yummy seasonal modification. My Mom usually made them with pieces of date in the middle. 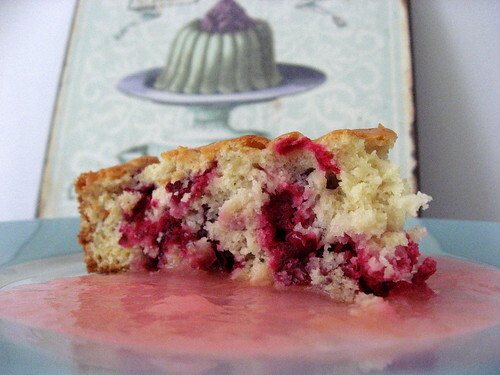 My version has cranberries and chocolate chips. Something about cranberries and chocolate just says "Christmas" to me, even though it's still a month away... well, at least here in Holland I have the excuse that they celebrate the tradition of Sinterklaas on December 5. In a medium pot, cover the fresh cranberries with water and then simmer just until the skins pop. I used a whole bag (340g) of cranberries for one batch. Drain and set aside. As you're mixing it together, add some molasses to taste -- I usually do a big "glurb" (super accurate technical baking term there!). Once it's mostly mixed, add the cranberries and carefully mix them in. Bake at 375°F for 35-40 mins in a conventional oven or, 180°C for 25 mins in a (small) convection oven. Remove from the pan immediately to cool. These muffins freeze well. 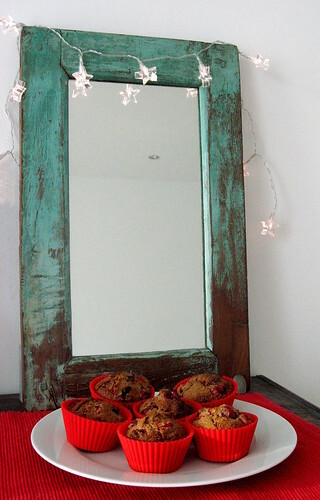 Holiday Muffins Photographs and artwork by Allison Gryski. © All rights reserved. I always have so much fun making paper snowflakes that I know by the time I'm done, I'll have rather more than I really need. So, I thought it might be fun to send some out into the world. For one lucky person, I'll send a Christmas card from the Netherlands to anywhere the postal system will take it, with a few of my snowflakes tucked inside. 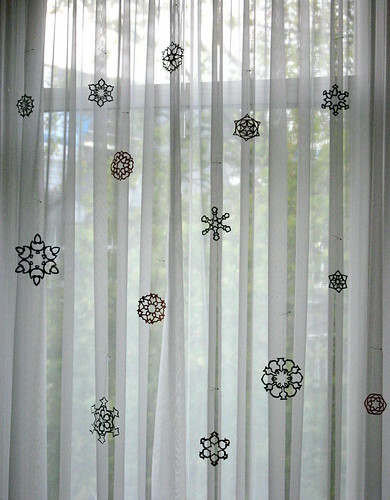 The snowflakes I'll send will be similar to the ones shown in the pictures here. Some of them are made from magazines, which means that the back may not be as decorative as the front. For a chance to win, comment on this post by Tuesday, November 30, and I'll pick a random winner on December 1. One of my Christmas traditions is making paper snowflakes. I love the surprise each time you unfold a new one. I think they make lovely decorations for windows and trees and presents. I started making them when I was really little and I was always inspired by the beautifully lacy ones that my artsy older sister made. I learned that the secret is to not focus so much on the shape you're cutting out, but the amount of paper that you're leaving behind. The most common way to make them results in 8-sided snowflakes. 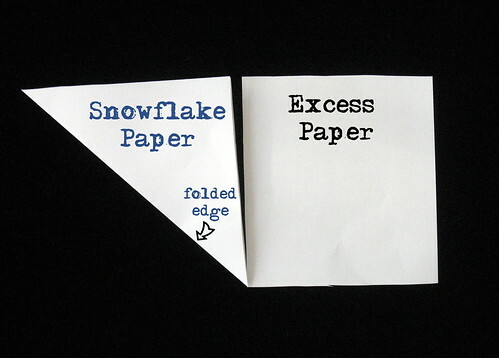 If you want a slightly more accurate snowflake with six points, here's how to fold your paper. 1. 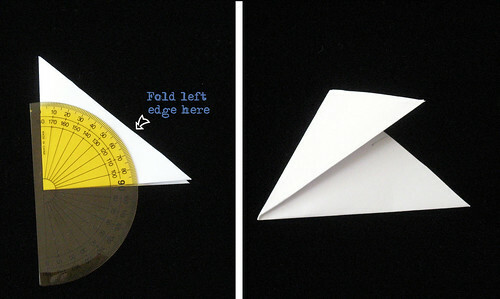 Fold a square of paper diagonally in half. (Trim off any excess if your paper is not square). 4. 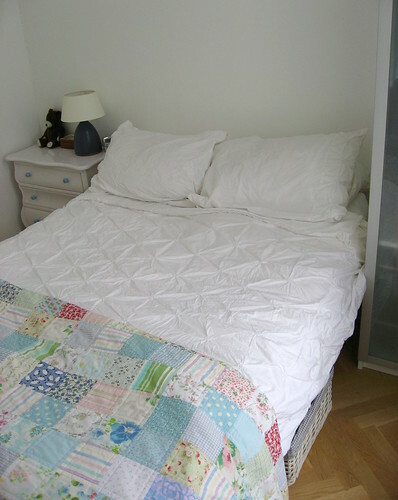 Then fold the other side all the way across, matching the edges. If you fold it underneath as I did here, the paper forms a zig-zag. 5. 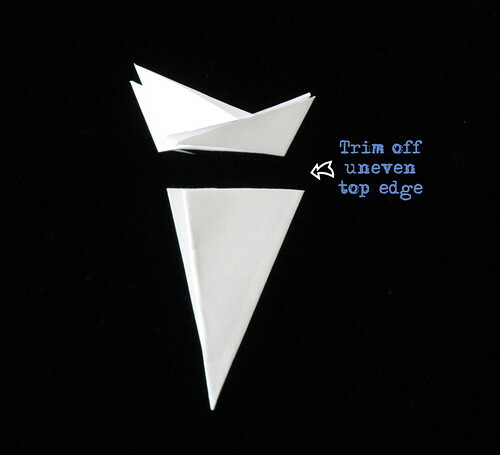 Trim off the uneven top edge. 6. 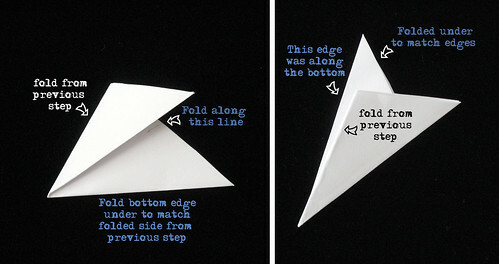 Cut out a bunch of shapes, then unfold and admire (you can always fold it back up if you want to cut out more). To flatten your snowflake, gently press it open, then carefully iron it on a low setting with a tea towel in between the iron and the paper. If you like colourful ones, make them from old magazines or leftover scraps of wrapping paper. You can also colour or paint your paper or decorate the snowflakes with glitter after they've been cut out. Though, to be honest, when I tried the glitter idea, I managed to get more glitter on me than the snowflake. I think making them out of sparkly wrapping paper is a better method. 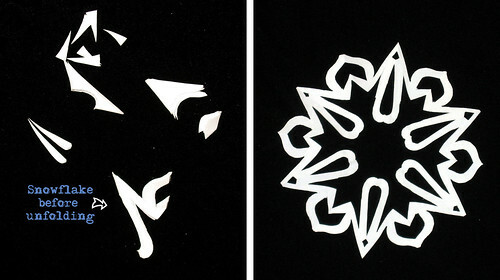 I'm off to make a proper snowfall of tiny paper cuttings and create some pretty snowflakes to hang in my ficus tree! 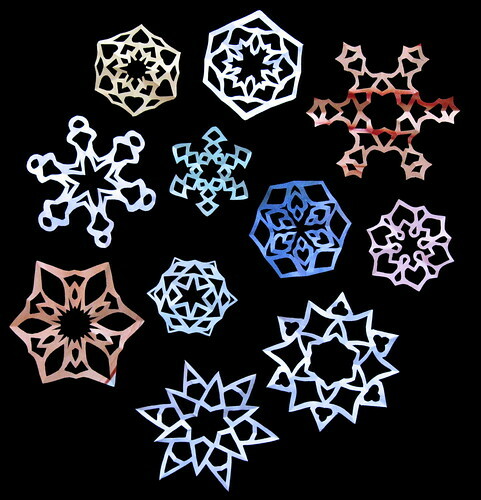 If you make some snowflakes using this tutorial, I'd love to see them! Please add your pictures to my flickr group. 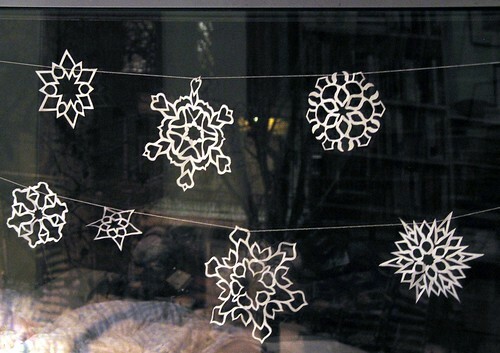 Update: See my follow-up tutorial to learn how to make Lacy Paper Snowflakes. My latest blog post for The S.W.A.P. Team is up and this time it's all about What to Make with Old Clothing and Fabric. 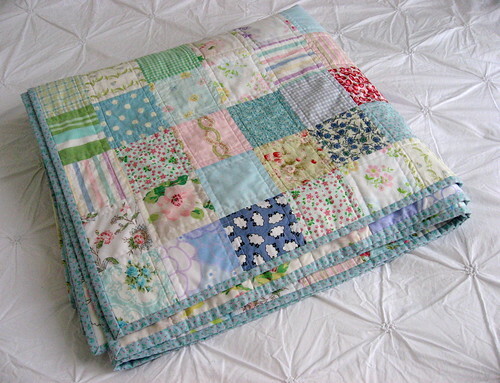 In planning the article, I put together a new photo set of all my Reclaimed Fabric Creations. My article also links to a selection of tutorials for projects that are perfect for leftover bits of material. Lots of these projects are small (so it's easy to re-purpose fabric), which makes them great for those looking for quick projects for the approaching holiday season. 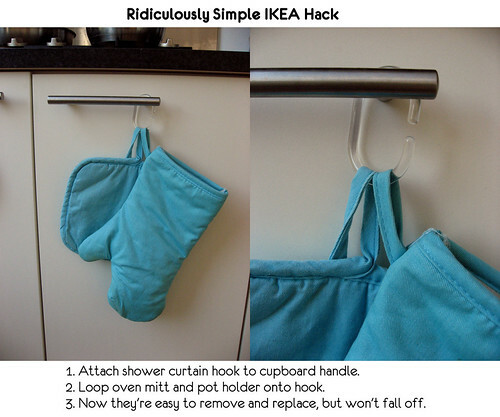 Read about it here and Happy Crafting! When I was at the Naturwinkel (a local health/organic grocery store) the other day looking for wheat bran and molasses (to make bran muffins), I noticed that they had fresh cranberries. I couldn't resist getting a big bag full to make Cranberry Cottage Pudding! This recipe is something my family tends to make around Thanksgiving particularly, but also sometimes at Christmas. It's best eaten slightly warm and it's oh-so-good the next morning for breakfast. 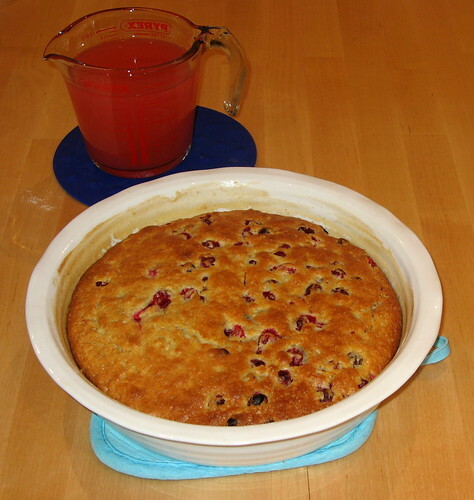 When I got home with my sack of gorgeous cranberries and looked at the recipe I noticed that it called for baking soda. This gave me a bit of pause. So far, I've avoided using baking soda here since it's not a commonly available ingredient. In muffins and cookies, it's usually just to aid browning, not to provide any sort of rising action, so you can safely skip it. But in this cake-y pudding I wasn't sure. I have a gingerbread cake recipe that has only baking soda and once I accidentally used baking powder instead. 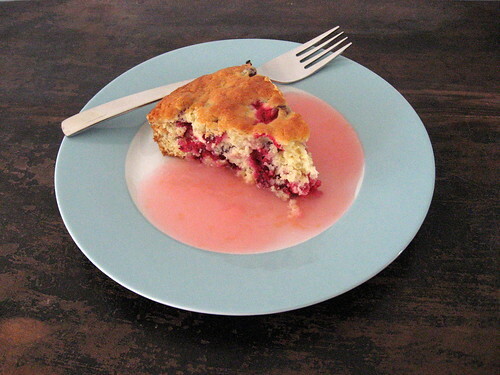 It was horrible ... the cake stayed like gooey batter and even with loads more cooking time it never "set". It remains one of my few totally inedible baking disasters. So I didn't want to waste ingredients on a similar debacle this time. I decided to wait a couple days and seek out some baking soda. I ended up resorting to the US and British food store on the Leidsestraat, which had the familiar orange cardboard boxes of baking soda. Baking in a foreign country definitely has its challenges, even once you track down the ingredients. My oven here is about the size of a microwave (in fact, it's also a microwave) and things tend to bake faster. Also, most of my recipes list the temperature in °F, so I have to convert to °C and then account for a convection baking setting. Simmer 2 cups fresh cranberries in 2 cups water just until the skins pop. Drain the berries, saving the cranberry water for the the lemon sauce. Add the wet ingredients to the dry and combine. Then gently fold in the cranberries. Put into a greased and floured 8x8x2" pan (or a round dish like I used). Bake 30-40 minutes at 400°F (or 190°C for 25 mins if you have a small convection oven). Keep an eye on it the first time you make it, to determine how long it needs in your oven. It should be golden brown on top and a toothpick should come out cleanly. Stir over low heat to dissolve. Then bring it to a boil, stirring constantly. It should start to change from cloudy to clear(ish) as it heats. Once it comes up to the boil, turn it down immediately, stirring on low heat until it thickens. Stir in 1/4 cup butter, and the juice and zest of 1 lemon (at least 1 Tbsp peel and 3 Tbsp juice). I may not have a sewing machine yet, but I did do a little hand-sewing to close up the rice bag that I shipped over. I did most of the sewing back in Montreal, but left a little opening so I could fill it with rice here in Amsterdam. Since it's definitely started feeling like Fall around here, I thought it was time to have something cozy for the toes. 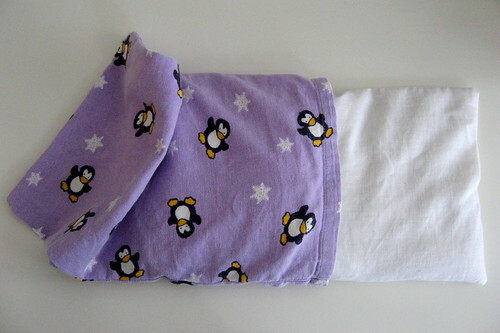 The adorable penguin cover is made from the leg of some old, worn-out pyjamas. 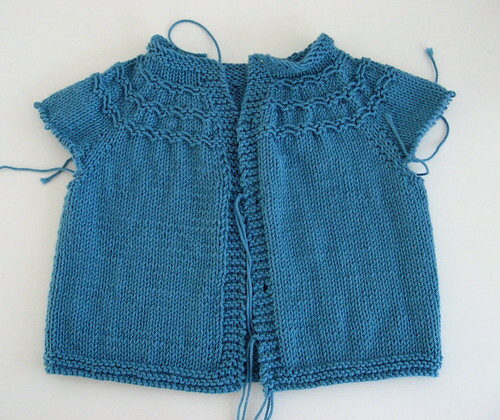 I've also been doing a little knitting on a small sweater for the bun in the oven. I just need to do the sleeves, but I've stalled since I have to go buy DPNs and then learn how to use them. However, it's come together quite well so far considering it's the most complicated thing I've ever knitted. I'm looking forward to choosing buttons since I'm planning rummage through my jars full of mixed buttons. just the sleeves to go! I have been rather sadly neglecting this blog of mine just lately. This Summer, it was travelling and first trimester exhaustion, then in the Autumn it's been more travelling and a series of long-lasting colds. However, I have one little blogging surprise up my sleeve. I will be joining a number of other writers in contributing to The S.W.A.P. Team blog! The S.W.A.P. Team is a Montreal-based non-profit that organizes clothing swaps in partnership with local charities, such as The Salvation Army. It's 100% volunteer-run, and all the un-swapped clothes go to the charity partner. So far, they've contributed over 21,000 clothing items to charity, and of course, sent many happy swappers home with new-to-them clothes. 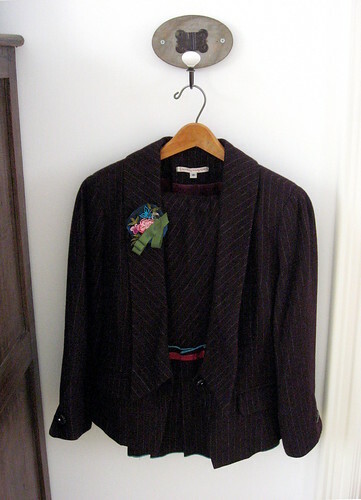 (One of my favourite clothing swap scores is shown below.) They have chapters around the world now (want to get involved?) and I'm so excited to be able to contribute to such a fantastic organization. My blog posts over there will focus on themes like vintage and thrifty fashion and sustainable, eco-conscious consumption. My first post went up today, and it's entitled, How to Find "The Good Stuff": A guide to second-hand clothes shopping. I hope you'll wander over and check it out!